The A1 Golf Range offers a multi-shot experience with 11 target greens, giving golfers the opportunity to practice every shot in the bag from a 50 yards pitch to a 300 yard drive. The range has 45 under cover bays, large custom fitting bay and 10 outdoor bays. We have 22 dual strike mats with manual tees (for both left and right handed golfers) and all other bays are fitted with the latest automated Power Tees. Power Tees enable golfers to practice from the same position without the need to bend down and reload balls onto tees. 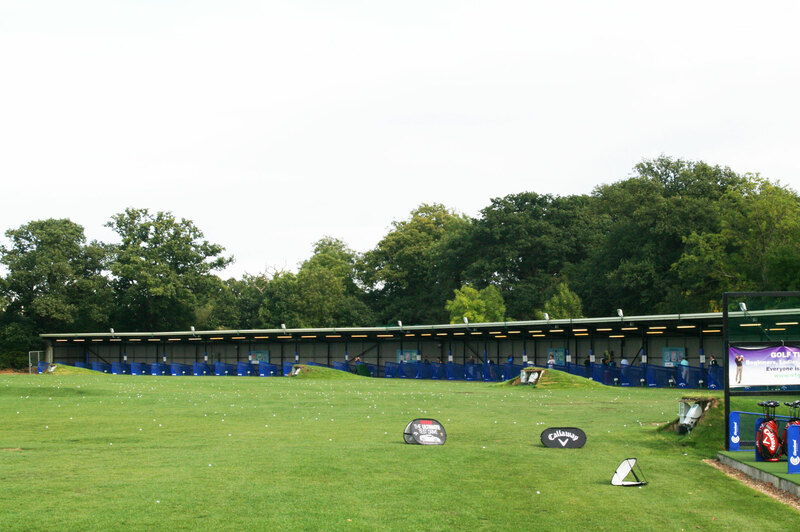 They can be adjusted to your preferred height so guarantee fantastic practice conditions for A1 members. Exclusive for Loyalty Card Members 10% discount all day Monday. Top Tracers offers multiple games, challenges, and what’s in your bag, providing valuable data to help improve your game. In addition, each screen has a virtual golf simulator, with 6 golf courses, including the world famous Pebble Beach you can play golf whilst improving your game! All loyalty card members have access for only £10 per calendar year.